I only want to do it on this instance of the widget, not everytime I use it. 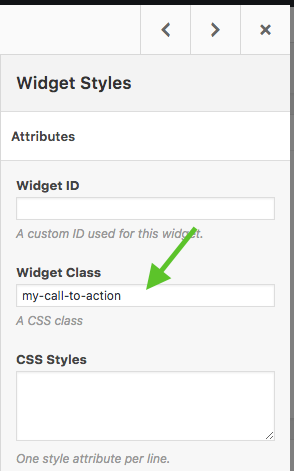 Firstly add a special class name to your CTA button widget’s setting. The option is located under Widget Styles > Widget Class. Save and update your page. Please let us know in a new topic if you have any further questions, or if we can provide you with any other assistance.